For many years my determination was to read a book in the language that it was written if I possibly could…and I’ve got a bit lazy about that. French I took in school to quite a high level — but never won that little pot of money to visit France so never did. I lost heart a bit when richer kids went off for summer holidays and came back hugely improved while I just sat there. So I read a bit — Mouloud Feraoun and Assia Djebar inspired me to get some Algerian books in French, but I haven’t yet broached them. Spanish however, was everywhere growing up on the border between the US and Mexico, so that I do speak, and speak very well and I have done immense amounts of volunteer interpretations and translated things from Spanish to English in my time. When I read, I do not translate it into English in my head if that makes sense, it feels my own (though not quite as much as English). There are words I only know in Spanish. But I never did study it in school apart from a short couple of weeks. So what literary reading I have done was done entirely on my own. And it has definitely been a while. 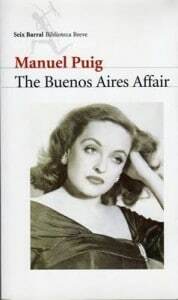 Reading Manuel Puig’s The Buenos Aires Affair what struck me most was its nature almost as time capsule. This had nothing to do with the book itself, but with my own struggle to read it — a literary language as opposed to a spoken one (which you realise is much more limited, at least for myself), and Argentinian Spanish so different than the pocho mix I know best and love. It reminded me of my youth, my teens spent reading books in English that were way out of my league, struggling with language and with vocabulary. You interact with the writing completely differently, you know you are missing some things, some references, some contexts because you’d never finish if you looked up every little thing. You struggle on. You spend more time with each page, which makes things you really like and understand more vibrant. It’s terrible when you get to those bits that you don’t like, and you are more able to skim over them but less able to skim over them and glean their meaning. It is more of an all or nothing. There are still words learned from these books that I don’t know how to pronounce, because I have never heard them spoken. Back to Puig, the first few chapters of this I thought were absolutely brilliant as I snail-paced my way through them, the mystery and tension of the daughter’s disappearance in contrast to the everyday boring life she lived with her mother, those catalogued everyday details of clothing and habit that take on a very different significance in an inexplicable absence. This connected to the fascination of the long quotes from the great femme fatales of Hollywood’s golden era that open each chapter, their icy coolness and tragic grandeur of their lives…but after the initial glamour of the disappearance, they soon begin to contrast with the sad and sordid life histories of the characters. It was sordid. Sad. But I liked that it stripped the glamour from this kind of writing, this kind of story. These are all the things I can’t tell you: whether or not this was a quick read, or an easy one. Nor can I honestly say how it compares to the language or levels of violence or even in many ways the craft in the many many works of noir I’ve read in English, and that is unsettling. I realise how much I compare books without thinking, and here I was at a bit of a loss. Did this feel more violent because I spent more time and effort on understanding the violence? For comparison I thought Ballard for one — especially with the fragments of newspaper clippings, the clinical stuff, the place of architecture and art — but am I sure these resonate? The process of reading, the length of time I sat with each page, the effort I put into just understanding some of the words, the ways that this is some ways obscured meaning, but in others made it feel more revelatory — I realised how this was transformative of my understanding and experience of the book. There was also the way that single words changed impressions. For example, one of the dreams involved a galgo, and from the descriptions I thought it might be a gargoyle or some other kind of monstrous thing and I plowed onwards because I was on the train and couldn’t look it up right away…galgo is a greyhound. I felt a silly rush of incredulity and disappointment. I thought the character even more pathetic, but realised in English with my immediate comprehension of the imagery I wouldn’t have felt nearly as strongly about it. 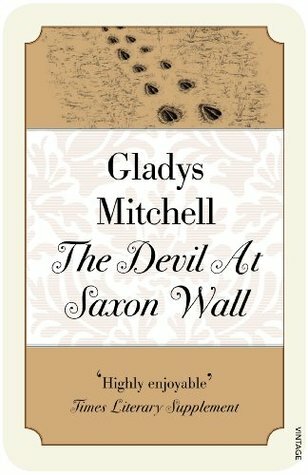 The animal involved changed significantly my understanding of the dream of course, but I think perhaps some of the background impressions remained with me of that monstrous large beast along with the disappointment, to colour the rest of the novel. So how is my impression a true one, but then what impressions are true? Still it feels to me as though this process, this experience of reading makes it impossible in many ways to compare it with books I have read and experienced in English. I realised too, that this was a bit like when I first started reading theory again after a hiatus of many years, and how much better I am now at extracting meaning and relevance and situating theorists within a larger context than I was when I started. All of this I find rather fascinating. I take my process of reading in English, especially reading fiction, rather for granted I realise, how fast I read especially. I will try and stop doing that for a while, think more about how the process of our reading impacts our understanding of the meaning of words and how they are strung together, another level entirely from the understanding that those meanings of words and phrases are themselves always multiple and contested.